The nutrition information on this tab is specific to a portion size. 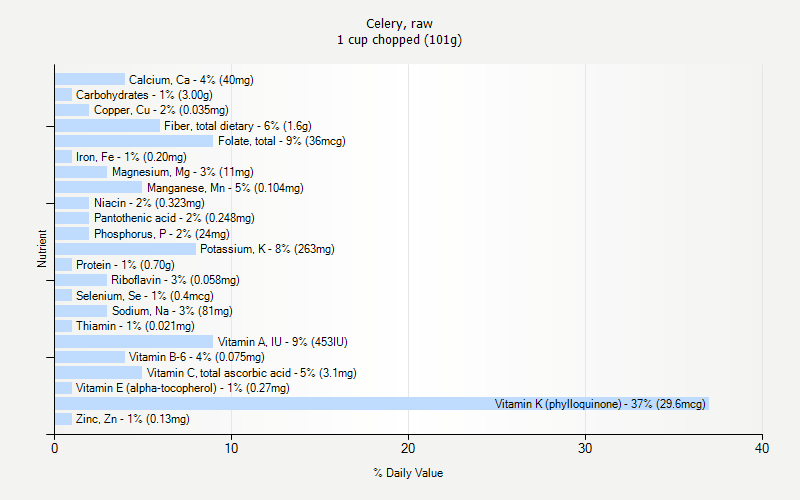 This tab shows nutrition for 1 cup chopped (101g). The nutrition information on this tab is specific to a portion size. 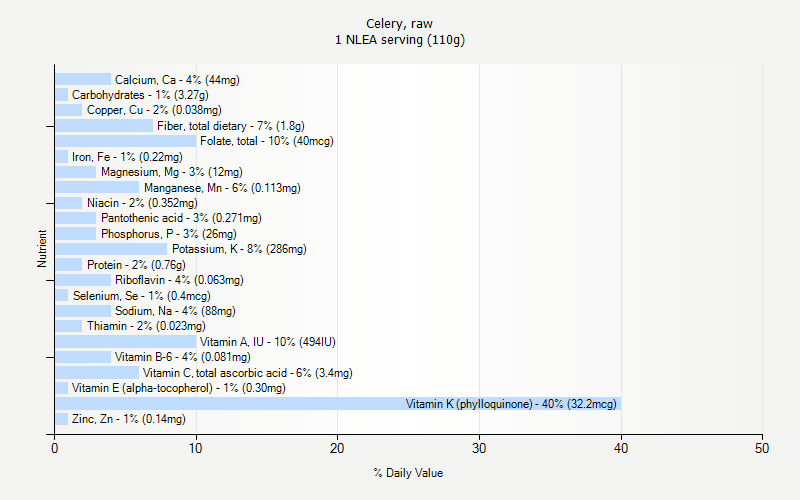 This tab shows nutrition for 1 NLEA serving (110g). The nutrition information on this tab is specific to a portion size. 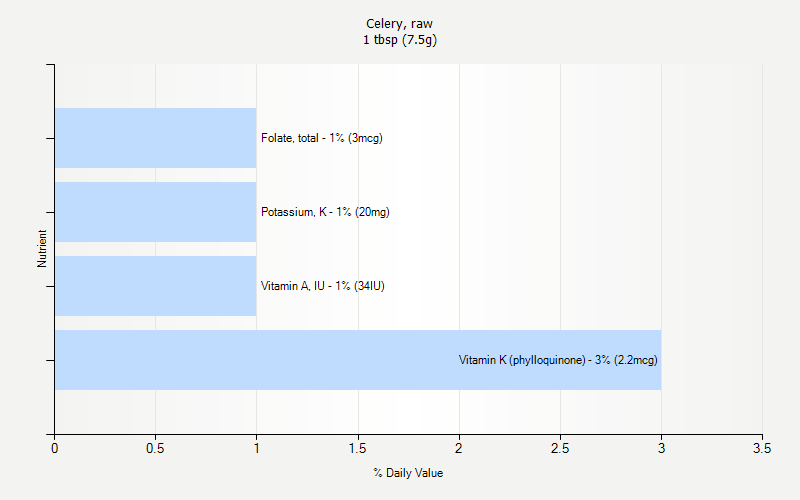 This tab shows nutrition for 1 tbsp (7.5g). The nutrition information on this tab is specific to a portion size. 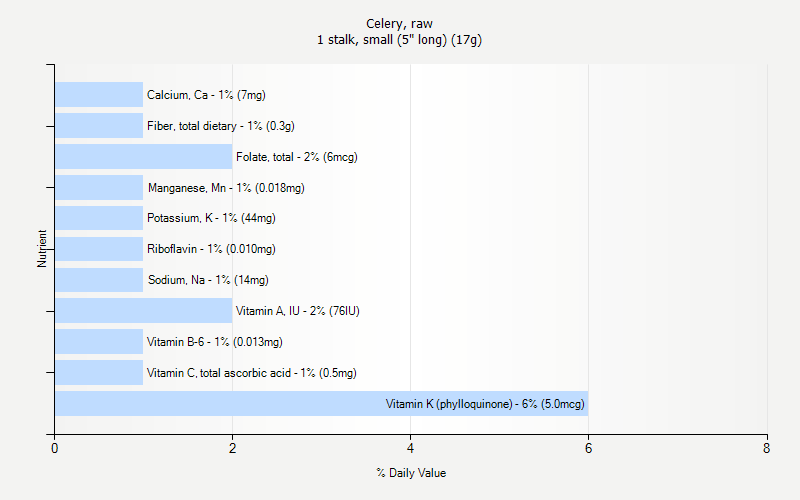 This tab shows nutrition for 1 stalk, large (11"-12" long) (64g). The nutrition information on this tab is specific to a portion size. 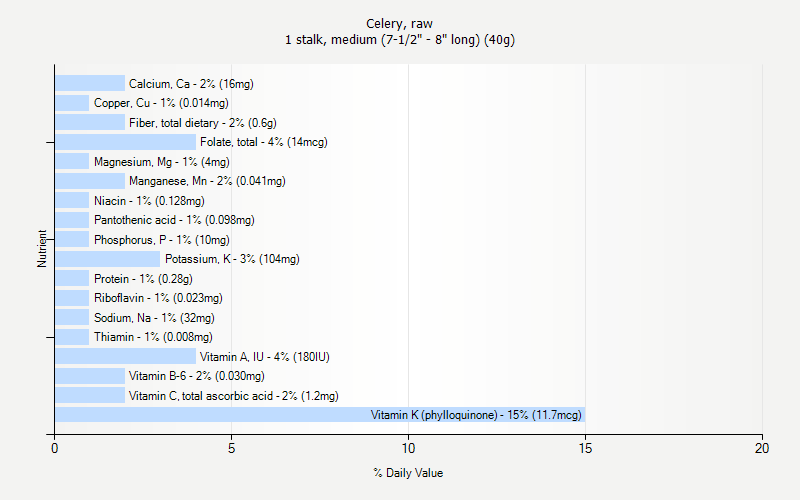 This tab shows nutrition for 1 stalk, medium (7-1/2" - 8" long) (40g). The nutrition information on this tab is specific to a portion size. 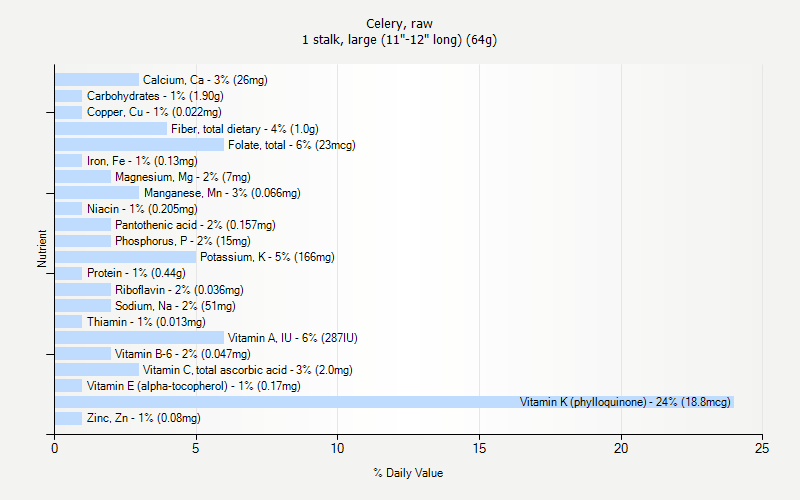 This tab shows nutrition for 1 stalk, small (5" long) (17g). The nutrition information on this tab is specific to a portion size. 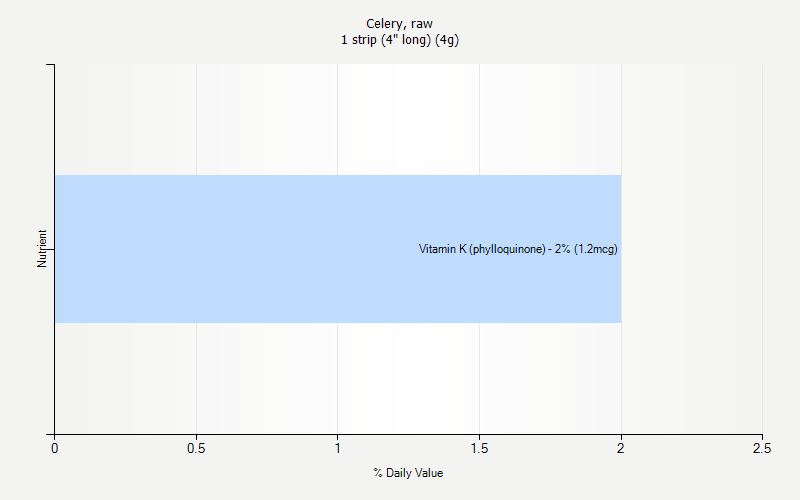 This tab shows nutrition for 1 strip (4" long) (4g).